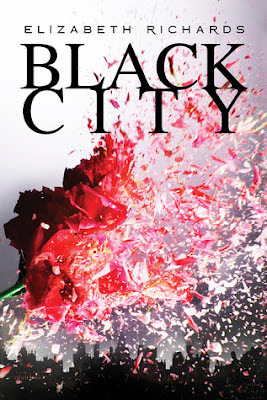 Home » Black City » Elizabeth Richards » Month tour » Schedule » Black City Tour Schedule! Thank you everyone who signed up to be apart of this amazing blog tour! I am still shocked at how many sign-ups we got! You guys rock! Unfortunately, though, we couldn't give spots to everyone. It's a pretty huge tour and I tried my best to make sure everyone was on the tour, but in the end I could only add so many. Woohoo! Let the fun begin!!!! Can't wait to follow the tour!! Blog tours are so fun! Ah this is awesome, I can't wait to read them all! I cannot wait for this book! Super excited! This was an awesome book - so excited for PHOENIX! This book is so good! I think I have found my new favorite series. Original and romantic. A must read! The book sounds great! Can't wait to start it, and the tour is awesome!! This is awesome! I can't believe I am just now seeing this tour! Awesome blog tour! Love them! I have been wanting to read this book since I saw it at ALA.
Black City's finally out, but now the wait for Phoenix. Can't wait to follow the tour and so glad it is finally out! Wanted to read this for awhile! I've enjoyed the stops on the tour so far, Thanks for hosting! This is great so happy about this tour and giveaway thanks a bunch. *Fingers crossed* I'd love to win a copy! Excited to read Black City! This book sounds so awesome! I just put it on my to-read list! I love books like this! Thanks for the info! Great giveaway!! I really want to read this series! This is hot on my wish list! There has been so much good 'buzz' about this book! sounds like a must. TFS. I had no idea the book tour was going on for this book. :) I hope to win a copy of this book! I added it to my list on Goodreads a couple weeks ago. Blog tours can be addicting but not hazardous to your health! soo.........hows the blog tour going for ya'll?? I wanna read this book badly! *fingers crossed* I've seen this book everywhere!! I've had this book on my wishlist since I read the first blurb on it! so, if i give you all a hug and a kiss on the cheek, will i get a free book? I really want to read this book! It's been on my wishlist for ages! My daughter is dying for this book series. Hope I get it first.